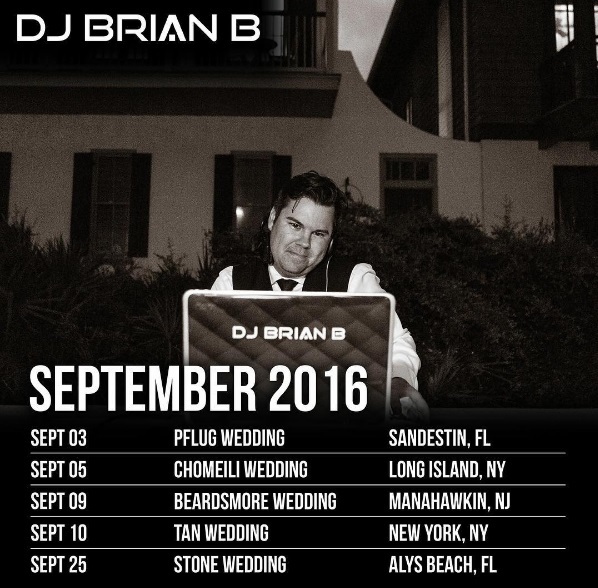 Time to release the DJ Brian B September 2016 Schedule. Even though we’re still feeling that summer heat, I can officially say we’re in Fall! I’ll be in the tri-state area for most of September with a few Florida wedding bookends to the month. I’ve been looking forward to these weddings for a while now and I’m excited to see them come to fruition. I’m working with some talented vendors as well. Here we go!